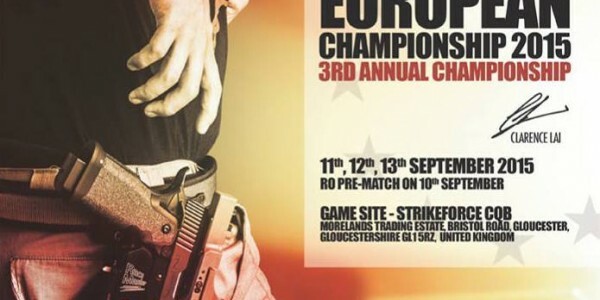 t’s now official, the Airsoft Surgeon Airsoft Practical Shooting European Championship is now set to take place on the 11th to the 13th of September 2015. 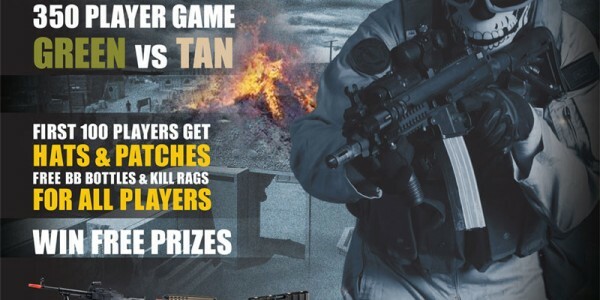 This event, which will be on its third year of airsoft practical shooting action in the UK, is expecting top airsoft practical shooters in Europe and even some of the best shooters from Hong Kong will be participating in this event. echo1usa has announced their next anual appreciation day will be held on april 27th, at SC Village in Chino, CA. This 'green versus tan' (there's your dresscode people!) event will be 350 players strong, as echo1 is naturally hoping it will be as sold out as the last one is. Eventbrite (echo1), SC Village, Airsplat, Airsoft GI, Evike walk in store. Airsoft magazine Airsoft International and Roundhouse productions present to you, Operation: Red Reign. A good looking event, unfortunately held in the USA. In the dark hourse of Mid November, Chinese and North Korean Special Operations Forces, led by Russian Spetznaz forces, make a daring and surprise drop into the small town of Marina, California. This little sleepy town just became the front for what could become World War III. Britain and the United States stand alone in the face of a global communist threat. Now, behind enemy lines, US and British Special Forces must work together to blunt the offensive launched on US soil. Even worse, intel reports suggest a possible horror never seen before used on US Soil - the use of Chemical and Bio weapons. Fears that the North Koreans have developed a new bio weapon so frightening, so destructive, that just a few canisters of this vial weapon could decimate the West Coast. Join us for the most intense Urban combat on the west coast! AIRSOFTPRO: International Exhibition Area of Airsoft and Wargames. From ODYSA PRO it is a great pleasure to announce the second edition of AIRSOFTPRO 2011. As you may know, AIRSOFTPRO is an ODYSA PRO international exhibition intended for Airsoft and other war games within the framework of the next edition of FICAAR 2011 in Madrid. This area is addressed to Airsoft professionals and embodies the biggest and better show of products and services, straight from the most important manufacturers, licensed distributors and service companies from the whole sector. Berget 8 new website is online! For those who are interested: The first tickets to Berget 8 will be released saturday 31th of October 2009 20:00 CET. (GMT+01). The tickets will be sold at a 30 EURO (88€) discount at the first release. More information regarding the theme, teams, rules and the tickets can be found at their new website. Welcome to airsoft-paradise AKA Berget 8 webpage, we hope you enjoy the 2010 year setup for the game. Please keep checking the news on this page, we will be continually updating rules and information. Some information & rules may change.